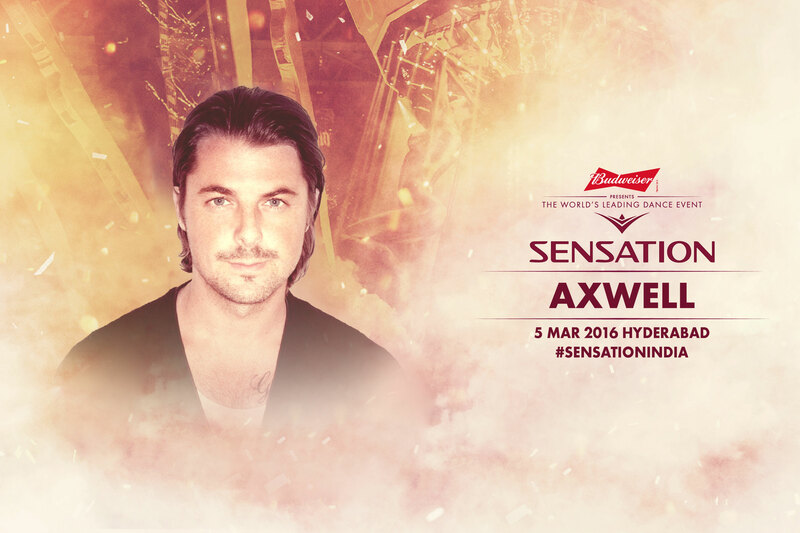 Sensation India has announced its Incredible Lineup for Hyderabad! Hyderabad will become the first city in India to host the state of the art international dance phenomena. 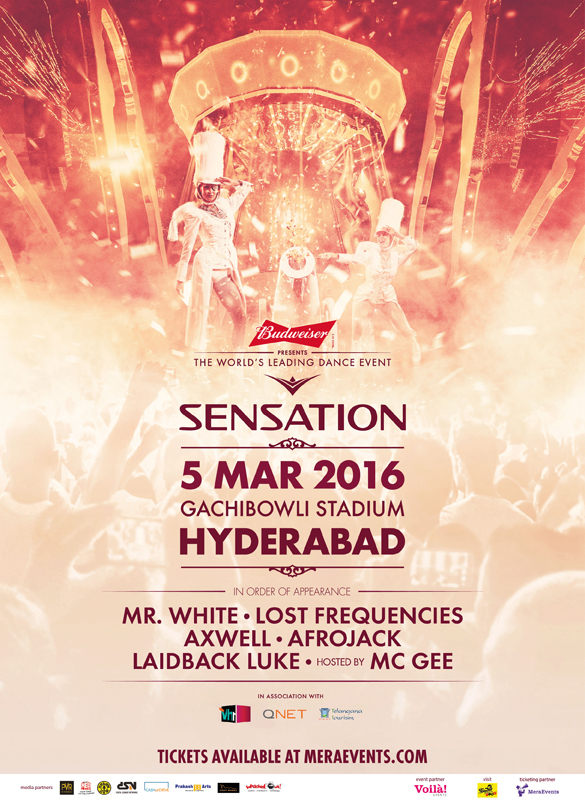 Sensation, also known as Sensation White, is making a headway onto Indian Territory with a mandatory iconic all white dress code on March 5, 2016. 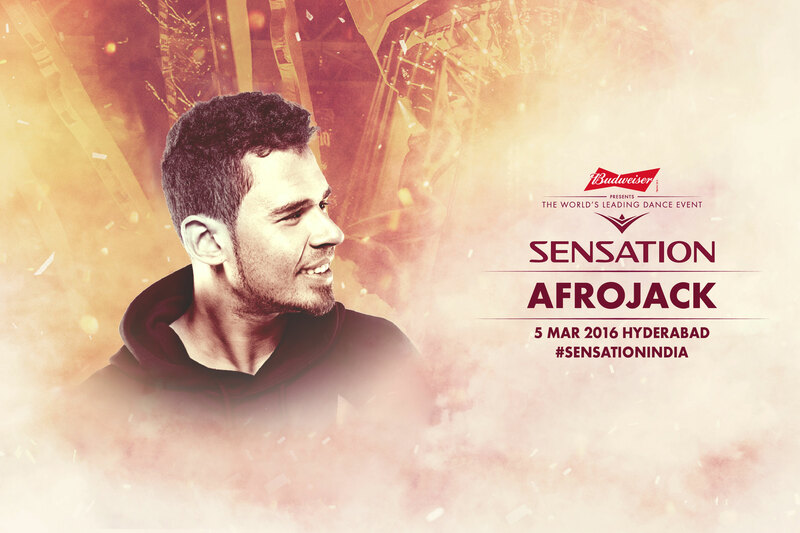 Gachibowli Stadium will be transformed into an endless white-oasis, where 20,000 spectators will converge for an epic night filled with spectacular show elements, entertainment acts and a star-studded line up of the best international DJs such as Afrojack, Axwell, Laidback Luke and Lost Frequencies. 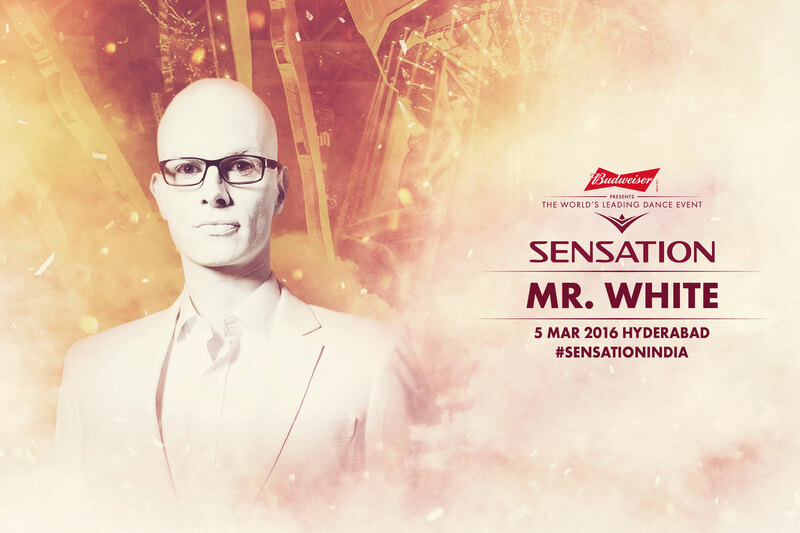 Sensation’s resident DJ, Mr. White will create the perfect vibe during the six-hour show, followed by epic sets by world renowned artists. Sensation, originating from the Netherlands, is organized by ID&T which is one of the biggest global dance organizations. ID&T has a 16-year legacy backing the event. Sensation has toured more than 33 countries, with sell-out shows in cities like Dubai, Amsterdam, New York and Bangkok and has welcomed over 2 million visitors. India will witness a first of its kind show. It will take over seven days to build the show apart from the six months of exhaustive planning. Every time one of the talented DJs takes the stage, another show moment will overwhelm the crowd with theatrical acts, fireworks and lasers. After an unparalleled run of more than 100 successful Sensation White shows since 2000, we are making our first trip to India with the support of Telangana Tourism for this spectacular world premiere. Sensation White differentiates itself from other dance music festivals, because it’s an all round experience. With theatrical acts, pyro and spectacular show moments during the night, it will take the visitor on a magical journey. The all white dress code creates the feeling of unity and works as a canvas for the show lights which creates a mind blowing effect. Grammy award winning DJ and producer, Afrojack, is one of the most influential names in electronic dance music today. At only 27, he has played a large role in the worldwide explosion and popularity of dance music with The Hollywood Reporter calling him “a global icon” set “to conquer the world” and in 2014 Forbes placing him at #6 on its annual list of ‘The World’s Highest Paid DJs.‘ A talented producer and artist Afrojack is versatile and creative with his sound whether creating club hits or producing and remixing for the likes of Beyoncé, Pitbull or Madonna. Afrojack is adept at shifting between genres and playing with his sound and it’s easy to see why his skills are some of the most sought after in the world. The global Dance icon and five-time Grammy nominated Axwell has had little time to rest upon his laurels over the past decade. In a career that has taken him from the Swedish underground to Madison Square Gardens and the UK charts alike, his Midas like touch, has seen Axel Hedfors rise as an idol of modern house music. His national identity has been a heavy hallmark in terms of his global success. Alongside long serving peers and childhood friends Steve Angello and Sebastian Ingrosso, Swedish House Mafia has stamped out the animosity once associated with popular Dance music, setting a new precedent with such chart-topping endeavors as ‘Save the World’ and ‘Don’t You Worry Child’ and momentous live landmarks at Madison Square Garden, Milton Keynes Bowl and Main stage Ultra, Miami. Their legendary farewell tour ‘One Last Tour’ racked up a landmark run of 53 shows across 36 cities for the enigmatic trio. Laidback Luke has conquered the world after two-decade of producing world wide hits and remixes. He was chosen as “the most talented new producer” in the year 1995. He’s a source of inspiration to numerous DJ’s, from Avicii to Afrojack. He’s produced huge hits and has collaborated with Hardwell, Steve Aoki, Diplo and Swedish House Mafia. He has remixed tracks of world famous artists such as Madonna, Depeche Mode and Mariah Carey. At the tail end of 2014, a shining new talent emerged from the Belgian house community and sent sizeable waves through both the genre and the music charts of Europe. Felix De Laet, better known by his moniker Lost Frequencies, released the global smash hit ‘Are You With Me’ back in August 2014 and quickly cemented himself as a name to watch, with the track rapidly ascending to the #1 spot on British, Australian, German, Austrian, Irish and Swiss music charts simultaneously – an incredible achievement for such a young artist. No Sensation without Mr. White. This pale-faced resident DJ perfectly knows how to set the mood and creates the right vibe with subtle house and tech house grooves. 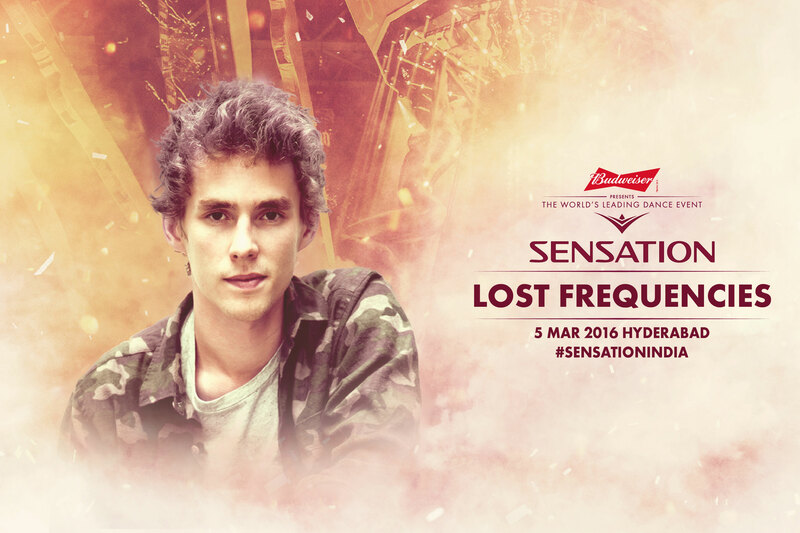 He’s been traveling the world alongside Sensation for several years now, rocking dance floors all over the world. Mr. White is the perfect start of every Sensation! Sensation-White is all about experience, spectacular show elements, entertainment acts , a star-studded line up of the most talented international DJs and the massive Production. If you don’t want to miss it then buy your tickets soon! 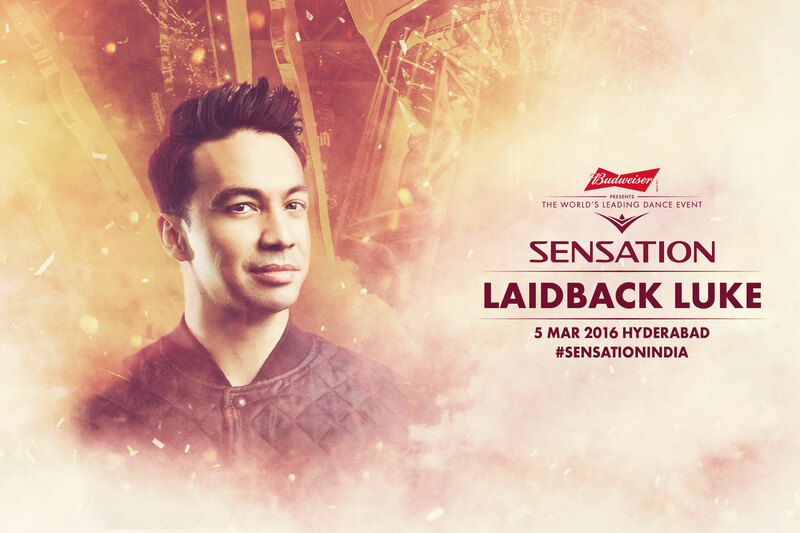 To know more about Sensation, Click Here. Previous article 10 ways Indians react to Major Lazer performing at Mad Decent block party India this weekend!! India. Leave the world behind.